The title lead character is played by the superb John Malkovich as the mentalist Buck Howard, you learn early on he hates the name magician, as he believes it dilutes what he does. It stars Colin Hanks(The House Bunny) as Troy Gable a law undergraduate who is uninterested in his current vocation, and is looking for that spark in life, much to the dismay of his well meaning father. 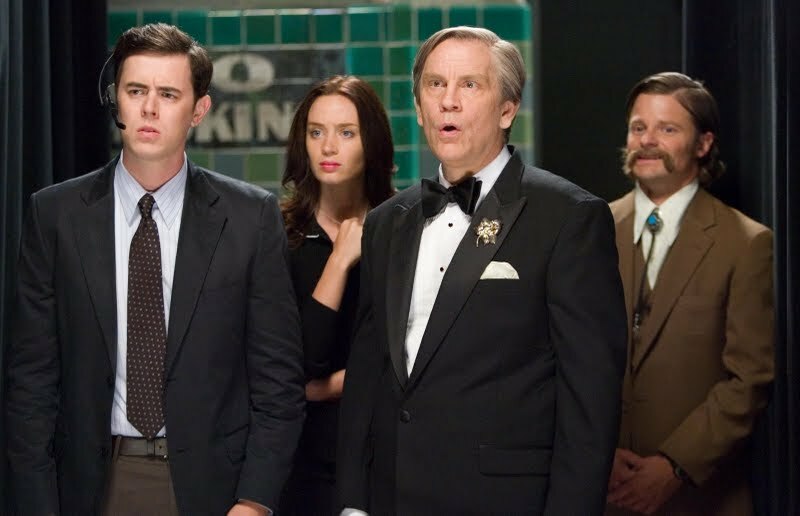 When you first see Colin Hanks there is something strangely familiar about him, and viola in comes Tom hanks and it clicks that they are real life father and son, playing father and son in this movie. Coincidences places Troy as a personal assistant to Buck Howard, who has a series of peculiarities that has driven his previous assistant Alan Berkman (Adam Scott, Knocked Up) eager to leave in a rage, leaving only Troy, Buck’s effervescent manager Gil Bellamy played amicably by Ricky Jay(Redbelt) and the brother and sister team in charge of his venue Kenny played by the hilarious Steve Zahn(Bandidas) and Doreen played by the affectionate Debra Monk(Mrs O’Malley in Grey’s Aanatomy) . The audience as well as Troy are left rooting for Buck regardless of his peculiarities and when things don’t go as planned you feel it as much as his personal assistant. It is a lovely movie most will enjoy, and of course the customary love interest is provided by Valeria Brennan played by the superb Emily Blunt(The Devil wears Prada, Something about her eyes reminds me of Bambi). The character of Buck Howard was based on The Amazing Kesring, who’s fantastic mentalist trick the great Buck Howard recreates was never duplicated or revealed.